After Lyra—a princess incapable of speech or sound—is cast out of her kingdom of daylight by her wicked aunt, a witch saves her life, steals her memories, and raises her in an enchanted forest ... disguised as a boy known only as Stain. Meanwhile, in Lyra's rival kingdom, the prince of thorns and night is dying, and the only way for him to break his curse is to wed the princess of daylight, for she is his true equal. As Lyra rediscovers her identity, an impostor princess prepares to steal her betrothed prince and her crown. 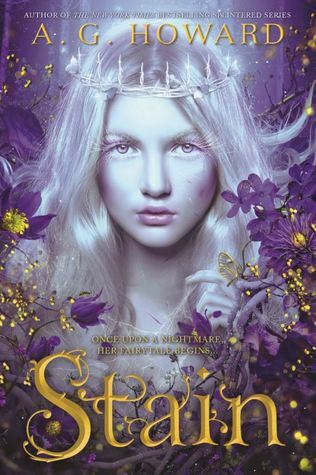 To win back her kingdom, save the prince, and make peace with the land of the night, Lyra must be loud enough to be heard without a voice, and strong enough to pass a series of tests—ultimately proving she’s everything a traditional princess is not. #1 New York Times and International bestselling Author of Gothic / Fantasy & Paranormal tales. Mystical & romantic with a side of horror. YA, NA, and Literary Romance. Repped by Jenny Bent.